Using avocados as dessert vessels is a pretty popular fad right now. Avocado lattes and gelato that looks like the fruit come to mind as fun examples. This No-Bake Pistachio Avocado Cheesecake might be one of the easiest ways to get in on the fun while looking just like a real avocado. 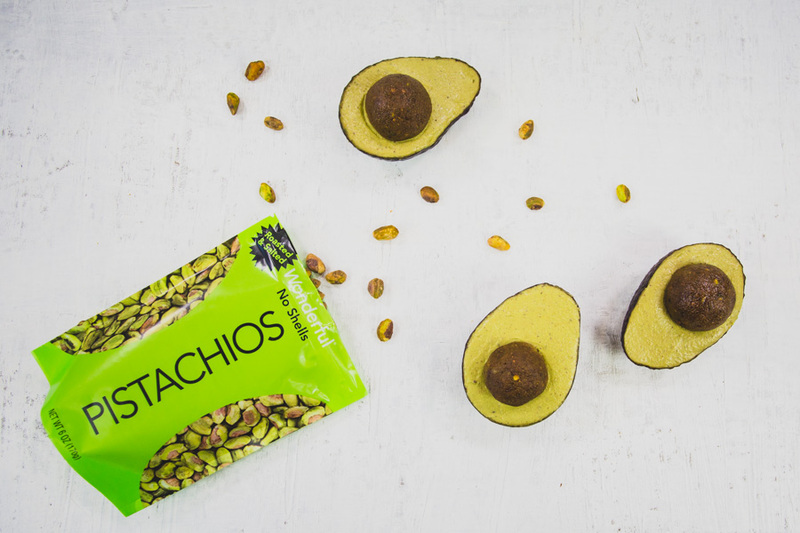 Serving as the “fruit” part of the avocado is the no-bake cheesecake base, which utilizes avocados and Wonderful Pistachios No Shells to keep prep time down to a minimum while delivering big on flavor. The “pits” use more of the pistachios, along with bananas and agave to create a sweet, nutty core that complements the tangy cheesecake. 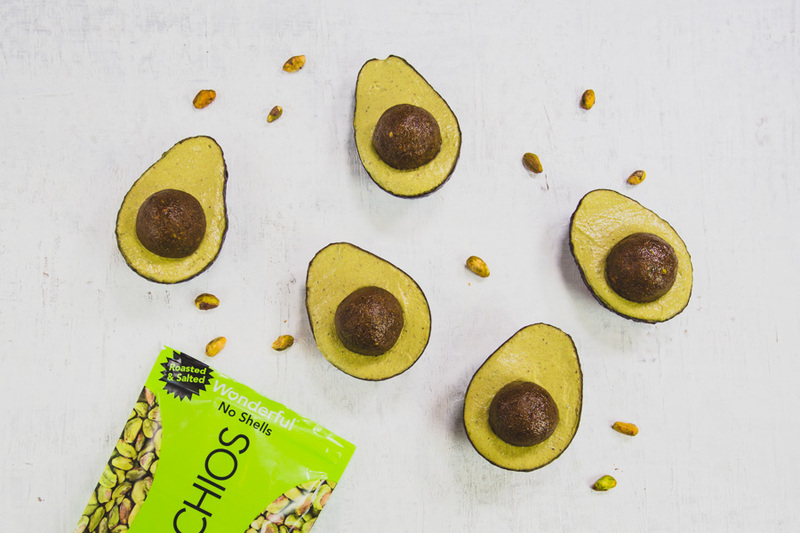 Anyone could easily be fooled into thinking these desserts are actually avocados. It’s a simple way to both have a little fun with your friends and create a sweet, nutty, and memorable treat. Take a look at the recipe below if you want to make these for yourself. In a food processor add Wonderful Pistachios No Shells after being drained from the water. Process until pistachios have become smooth. Core our avocados with a regular spoon, careful not to rip the skin. After the pistachio mixture is smooth, add the rest of the ingredients for the filling minus the greek yogurt.. Mix until smooth and then add Greek yogurt. Mix again and then scoop into avocado peels. Set on sheet tray and chill in fridge for 1 hour. 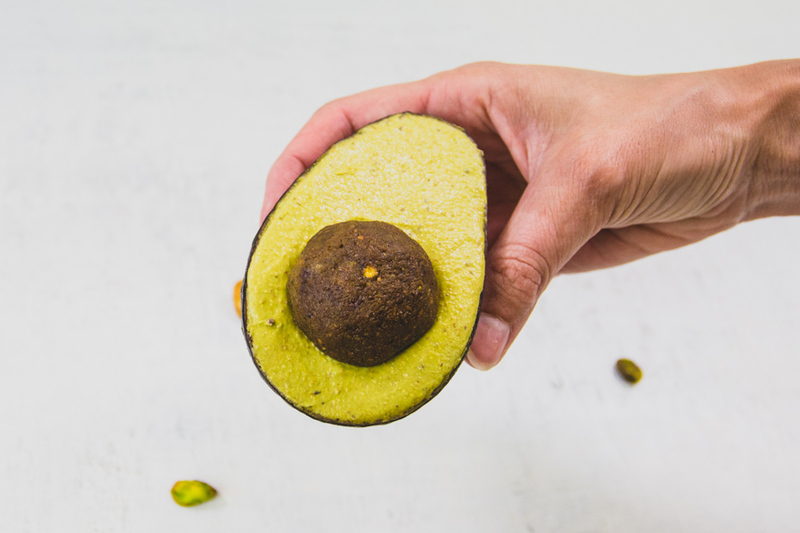 Combine all ingredients for the ‘avocado pit’ in a food processor. Mix until desired consistency about 3-5 minutes. Remember to clean sides of food processor to fully incorporate pistachio and bananas. Using a spoon, scoop a small amount of mixture and roll into a ball. The ingredients will be wet. Place balls on a baking sheet lined with parchment paper and chill in the fridge for 20-30 minutes. Place “pit” inside refrigerator firm avocado cheesecake filling. Plate and serve!